So the heatsinks in this thing were toast. Because the machine no longer used an MXM card I didn't have to worry about that one but the CPU cooler was still a big headache. After all where am I going to find a replacement heatsink for an obscure all-in-one pc for an affordable price no less? 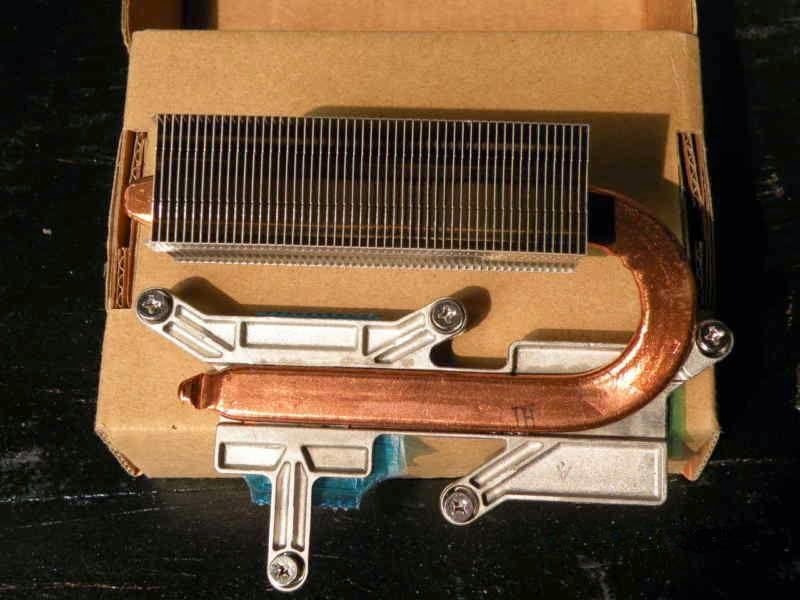 Do I try and get heatpipes and rebuild the heatsink myself? I really didn't want to.. I found an ID number on the demolished remains of the original and to my surprise, actually found a seller on eBay. A clearing house in China that had no idea what it was for and only had it listed by that obscure model number. Haggled the price down from $60 to $25 for 4 pieces including shipping. Better than spending hours on bending and soldering heatpipes. They didn't want to sell me just one so now I have 3 extras.. (Though unlikely, if anyone wants one for the price of shipping, contact me on one of the addresses on the right). I thought about replacing the front glass. I even had a glass pane cut and masked for painting. But then I realized I despise glossy screens so ended up just painting the plastic frame that I would've glued the glass onto. It works for me. Installed a T9600 CPU, 8 gigs of ram and 2 SSDs. All of which I got from eBay. That cable is also hacked since it originally ended in a micro-SATA connector (which is basically a regular SATA connector combined with a smaller power connector that lacks the 12v rail). 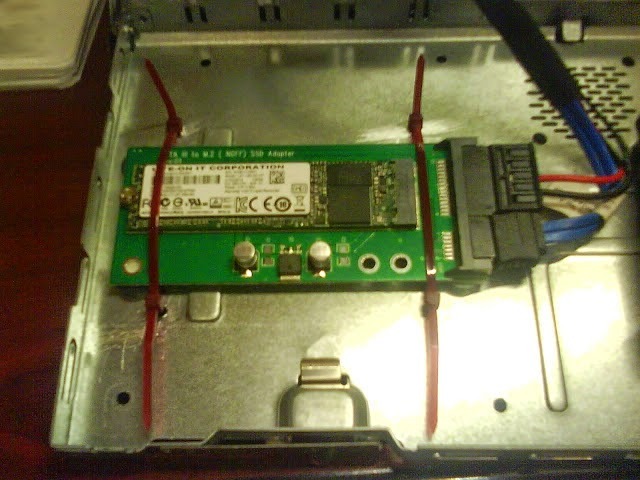 I separated the usable SATA connector with a saw and added a standard full-size power connector in place of the weird one. Thankfully 5 volts is all this SSD needs. I have to say I'm very happy with the performance and how it turned out overall. I've been using this machine for the past 5 months (including writing these posts) and it's been rock solid. I'm glad I managed to save it from the landfill. Hi... my parents have a a600 in a good working condition. I want to give it an upgrade. I want to upgrade the RAM and OS drive to SSD. 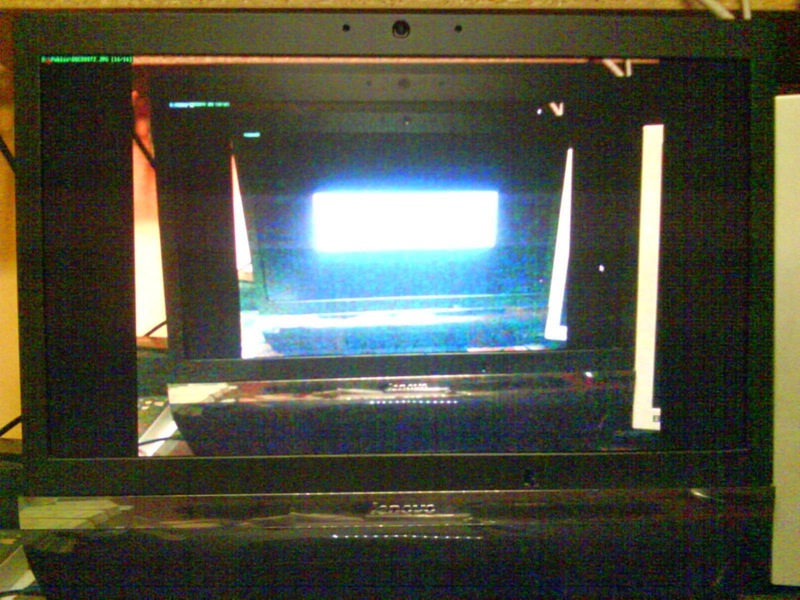 the optical drive is useless and I want to remove it and add an SSD in its place. can you help me out on selecting the right type of SSD. what type and with what kind of connectors ? Or you can do what I did and carefully saw the power part of the connector off the original microSATA and solder a regular power connector in place. AFAIK (almost) no SSDs use the 12v rail so you should be able to use whichever off the shelf one. The only reason I used an NGFF module in a converter is because I got it for cheap.